These delicious 80 calorie profast shakes are nutritionally balanced to promote weight loss while maintaining healthy muscle mass. 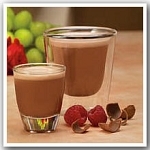 Great tasting and easy to prepare, you can make them as either a creamy pudding or a delicious shake. 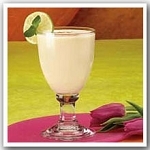 'These shakes do a wonderful job satisfying my "3o'clock hungries" '. 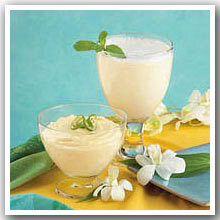 -Jeanne L.
Add 8 ounces of very cold water and stir or shake vigorously until dissolved. Add 4 ounces of very cold water and mix thoroughly with a spoon until smooth and serve. Taste great blended with ice, strawberries, and blueberries. Thumbs up. Different taste for the palette. Add to to your coffee instead of creamer. Great Taste! 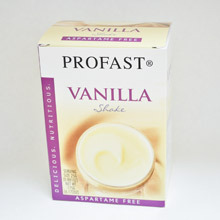 I loved the original Profast Vanilla Shakes. When I saw the website didn't show them as an option for purchase, I decided to try the aspartame free version. This was a huge mistake for me. 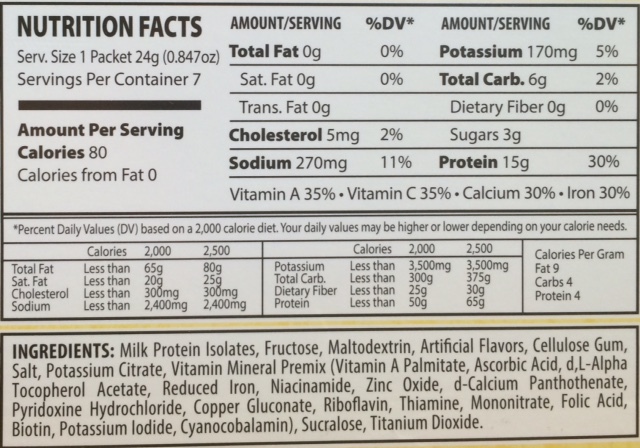 The salt content in the regular vanilla shake is only 65 mg a shake. This one has a whopping 270 mg per shake. I can really taste the salt difference. Also, it doesn't mix well with the Tangerine Diet Rite i prefer to use. The foam from the carbonation doesn't go away quickly like it does with the regular shake, so you need to use at least a 20 oz. cup if you're on-the-go. The taste is a little more like pineapple flavor for me than vanilla. If you truly can't take aspartame, it's a good option, but carbohydrates and sugars still equal 2% of the DV per shake in both types. I am a huge fan of the Modified Profast Plan and hope I can start getting my non-aspartame free vanilla shakes on here again soon. LOVE IT! I've always loved the vanilla shakes, but the aspartame free is something I've been waiting for. I've tried SO many different brands of shake. I like powders so I can keep them in my desk at work as a quick meal replacement. These STIR in water to a wonderful consistency. No clumping. And they taste better than any other shake on the market. Sometimes I stir in a flavored vitamin powder pack too. Yum.